We have a litter planned for Summer 2019 - all four colors possible. 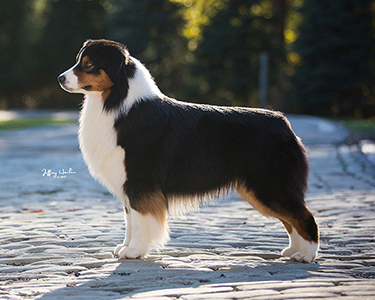 We also have two co-bred litters planned for later this year. Serious inquires only! Contact us for more information! We will possibly have an older female available available for a retirement home later this year. 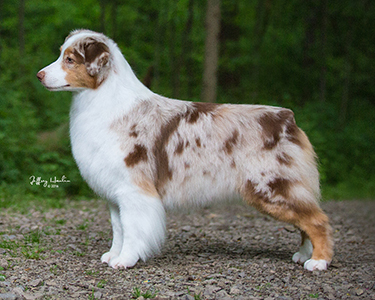 She would be best suited as an only dog with an active lifestyle or previous experience owning Australian Shepherds. Contact us at jillaynekarras@gmail.com for more information.